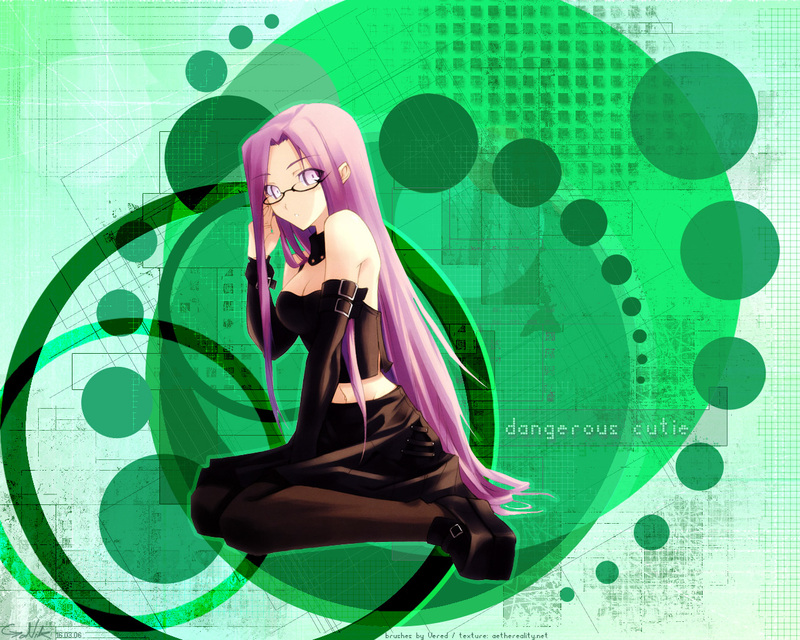 Rider looks cool with the outfit she's wearing besides wearing her battle suit. I also concur. She looks so cute! Although, she doesn't really go with the background. Purple and green kind of clash a bit. well-done. And the purple and green don't clash that much. Nice job. been looking for a rider in glasses for very long time Thnx! Can't say anything but "Kawaii!"